They can acknowledge their well-being with just a push of a button. Or by doing so, they can let their loved ones know that they have taken their medication. 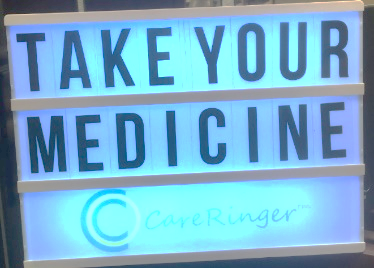 A new development by CareRinger makes this possible. All a senior has to do is to push a button during the time of their choosing, and their loved one will know they are fine. For most seniors, this is how technology should work for them. At 92, my mother is starting to experience some memory issues. 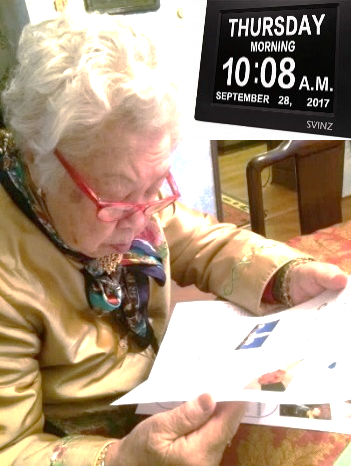 Often times, she refers to her notebook for things to do, and her dementia clock helps her keep time. She pays close attention to a light panel and the message posted there when it is lit up. The message also reminds her to turn the light off. By monitoring this light panel, we know my mother reads her message twice a day. My sister, her primary caregiver, will receive a notification alerting her otherwise. As a result, my mother enjoys the choice of staying in the comfort of her own home while her senior friends are considering living in an assisted facility. You don’t need a fancy light panel for this application. 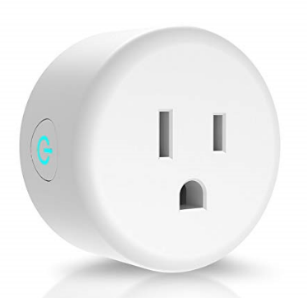 With a smart plug, you can use the timer function to turn on a light near your loved ones. Some seniors might have difficulty remembering things at times, but are well aware of what’s happening around them. They will notice when the light is lit up. They just need to know to turn it off. Are you a caregiver? For information on how to set up a smart plug and other Internet of Things (IOT), please attend the Connectivity@Home Class at the Goebel Adult Community Center in Thousand Oaks, or the Simi Valley Senior Center. Check with your community center to find out more. About the author: Henry is a former-telecommunications professional, now attending to the needs of elderly people. Since 2012, he has been teaching seniors about senior-friendly technologies in his local communities. He is an inventor and Founder of CareRinger and holds patents on methods applying to this service. Copyright © 2019 CareRinger. Powered by WordPress. Theme: Spacious by ThemeGrill.